Home/Posts/Uncategorized/Can it really all be catch free? Can it really all be catch free? I love the catch-free scenarios that we can come up with. The only thing I struggle with is making that connection of a kickball game attender to something else inside of our ministries. I’m in favor of catch-free, but what happens when he comes back to the next event, which can’t always be programed as catch-free? How do we keep that tension in check? I think our programs can always be catch free. As a youth ministry, you likely have worship events. You probably have Bible studies. Maybe you even have small groups. Most people – even kids – expect those things out of our youth ministries. Worship, Bible studies, and small groups aren’t catches. They’re what we do. We just need to be honest about what we’re doing. So when you invite a teen to worship, worship. When you invite them to a Bible study, make sure you actually crack open the Bible and explore it together. 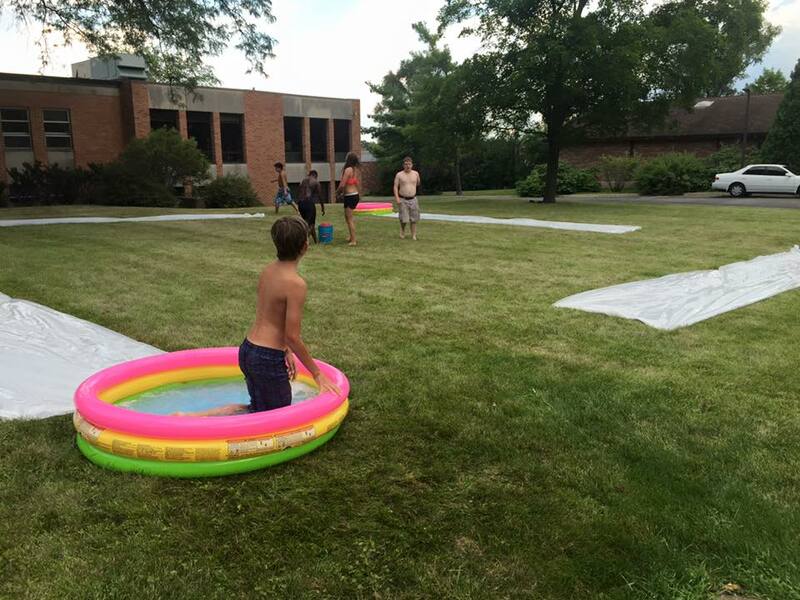 By the same token, when you invite a kid to slip ‘n slide kickball, make sure that’s what you’re doing. Maybe this doesn’t sound earth-shattering to you, but it certainly was to me when I first began doing this about 7 years ago. At the time, I’d been at my church for a year. And that year was ROUGH. Initially, that was hard. I wanted ALL of my teens to connect with the Bible and more importantly, Jesus. But what I learned is that by being up front about what we were doing, the kids who were at the Bible study were the ones who really wanted to be there. Week after week, this made for an incredible night filled with deep conversation with teens who actually wanted to grow in their faith. It also gave me permission to stop feeling as though every event our ministry held had to connect with every student; to instead recognize that part of the reason we do different events is to connect with different kids. That’s why when, at our Slip ‘N Slide event, a teen we hadn’t seen in a year showed up, I simply rejoiced; Thrilled he wanted to engage with our community in some way. Perhaps this event will, in fact, be an invitation for him to reengage in other facets of our ministry. That said, I’m guessing it won’t be. There was truly no catch at Slip ‘N Slide Kickball. Just like I hope there’s no catch at our worship, Bible studies, or small groups. After all, when we view the religious stuff – or worse, Jesus – as the “catch”, not only do we attempt to manipulate teens into a life of faith (which, by the way, rarely works), but we also reduce Jesus into a commodity that can be bought and sold or bartered. Jesus is certainly not that. Jesus is the center of everything we do – including Slip ‘N Slide Kickball and other events where we might not even utter his name.